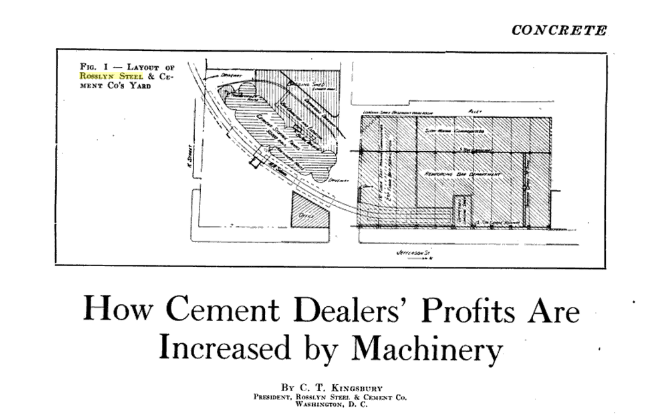 While searching for documents, I stumbled on this article from Concrete magazine, published in October 1921 and scanned by Google. 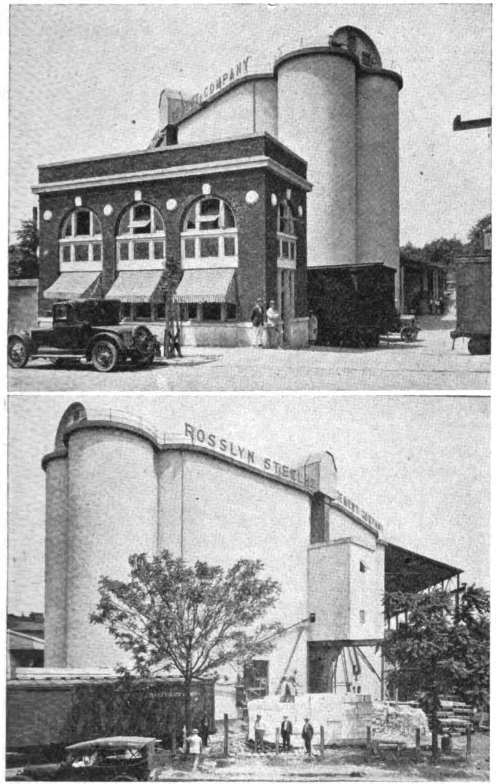 The Rosslyn Steel & Cement Co. property has always been of interest to me, as it was served by the B&O in Georgetown. There was a siding that came off the B&O’s Water St. tracks and curved into the RS&C property, past the large concrete cement elevator and into their massive steel fabrication facility. A quite large and long shed housed the steel operation where they produced re-bar and other steel assemblies for use in their construction projects. The special thing about this article is that it shows very detailed plans for the RS&C plant and a couple wonderful photographs! They also detail the operations of the cement elevator and the mechanical function of the loaders and unloaders. Really neat stuff! These images and the article text finally give a detailed look at how this plant appeared and was laid out on the site. I’m planning on modeling at least part of it, if I can figure out how to fit it into my layout. Found a couple of gems today! Both show the facility where coal was actually unloaded at the plant, giving some rare inside peaks of at least one of the old buildings in Georgetown. The first is around 1948 and the second sometime in the 60s or 70s.